Despite capacity additions in the country’s northern and eastern regions, the demand for cement in these parts is expected to outpace the supply in the next two-three years, leading to shortage. In turn, prices are expected to firm up the most in these two regions. In the recent past, prices in the western part of the country rose by over five per cent followed by north, where it increased by three per cent. In the central region, which is dotted by numerous limestone reserves, prices were up by two per cent. However, cement prices in south and east India declined by two and three per cent, respectively. A Motilal Oswal report stated cement prices across India were likely to increase by a marginal one per cent on a quarter-on-quarter basis because of the divergent price trends across the country. “It is expected that in the next two-three years, the requirement (demand) in the country will grow by 10 per cent as against the current level of 6-7 per cent. Eastern India will grow the fastest,” HM Bangur, managing director at Shree Cement, said. 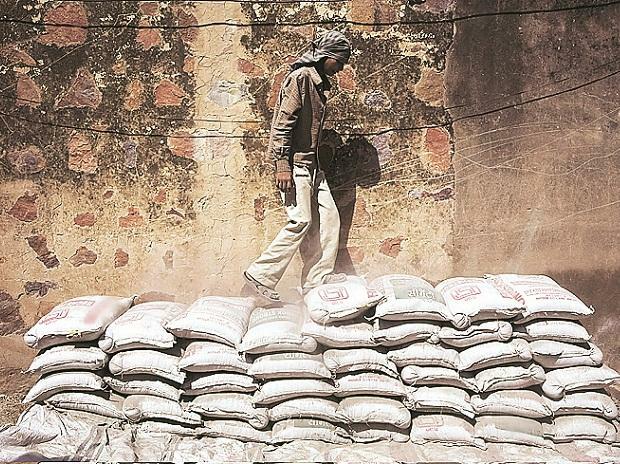 This comes in wake of major broking houses, including CLSA, raising concerns over the near-term profitability of major cement firms because of the current oversupply, which is affecting prices. Moreover, sand mining issues, muted demand in the real estate sector, transportation costs, and other input cost pressures have left an impact on nearly all the cement majors. 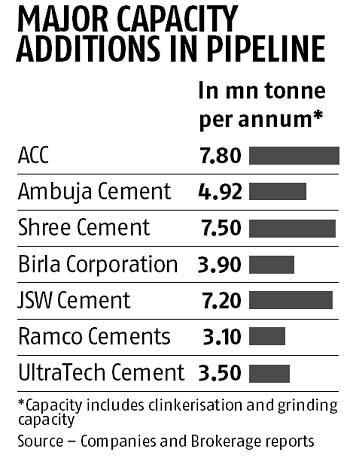 According to Sabyasachi Majumdar, senior vice-president & group head at Icra Ratings, the capacity utilisation in east India has already been hovering around 80 per cent, the saturation point for cement firms. Capacity additions in east are expected to fall short of the projected demand. On the contrary, western and southern regions have a lower capacity utilisation while the average presently stands at around 68 per cent. “In two-three years, there is going to be a demand-supply mismatch in the east followed by the north. As a result of supply falling short of demand, prices are expected to recover from the current levels considerably,” Majumdar said. East India accounts for 19 per cent of the total 471 million tonne (mt) installed capacity while north India accounts for 22 per cent of the total installed capacity. Industry officials believe at least another 50 mt of fresh capacities are expected to be added during 2018-2021, which will increase the total installed capacity to over 525 mt. Of the new additions, 24.5 mt is expected to be added in the eastern region alone. As and when the per capita income in the country starts to improve from the current level of around $1,600 to touch $1,800, there will be a sudden surge in cement demand at the retail level, reasoned Bangur. “As people hit this inflection point ($1,800), they will have more disposable income after spending on necessary commodities and luxury items. As a result, with better cash availability, betterment of infrastructure will naturally become a priority and uptake will improve,” Bangur said.